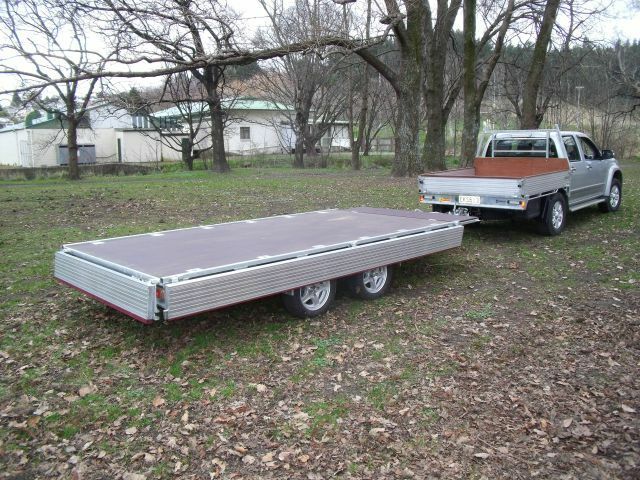 The New Armour Crouching Trailer provides easier, faster & more efficient loading. 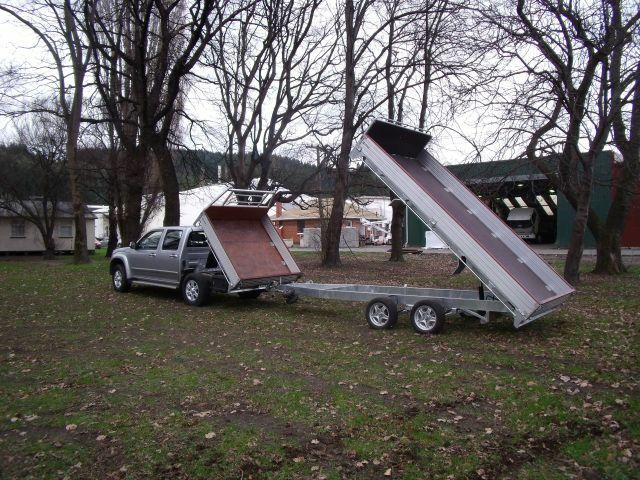 Simply push a button to lower the end of trailer to the ground for loading. 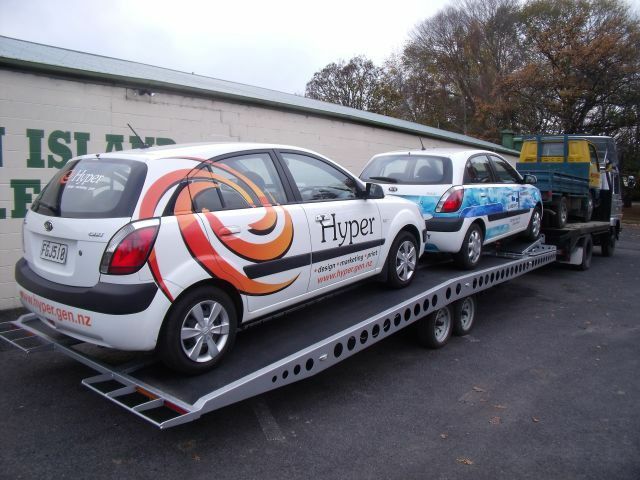 3.5T gross weight - designed to carry 2 cars without road user charges (under New Zealand regulations). 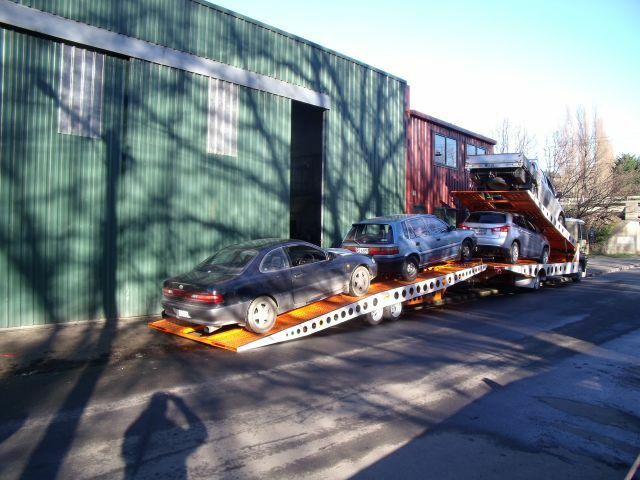 Air suspension drops trailer to the ground for easy loading. 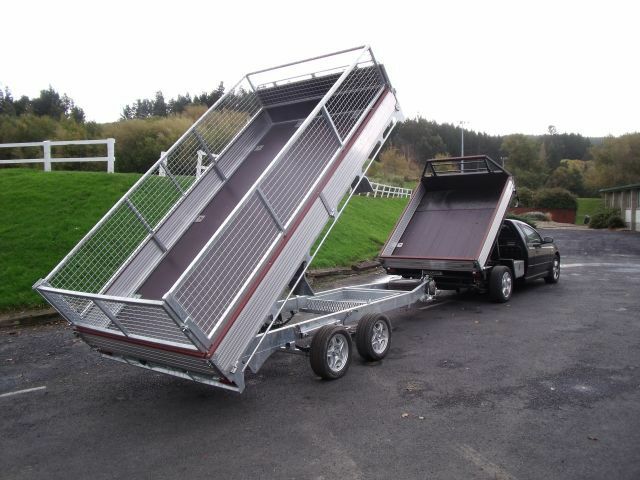 Fold over ramps on the front of the trailer for fast easy loading onto the truck. 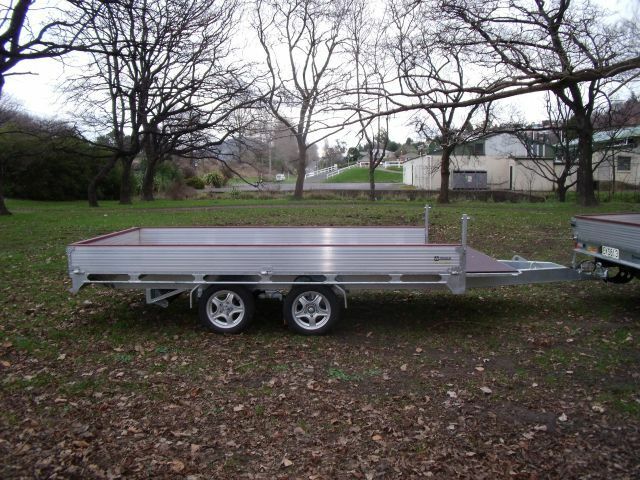 With 3600 x 1850mm deck space the Armour trailer has light weight heavy duty alloy sides with hardwood timber tops. Headboard folds down flat to provide a further 600mm of deck space! 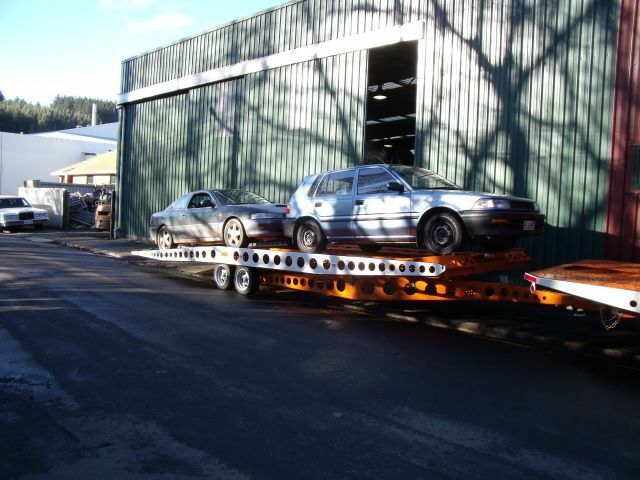 Twin under body rams provide plenty of lifting power! Galvanized cages available for those extra large loads of firewood for winter.